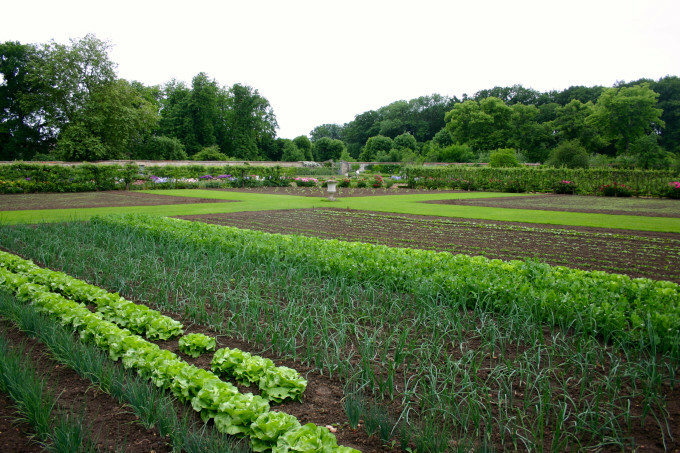 edible garden design. 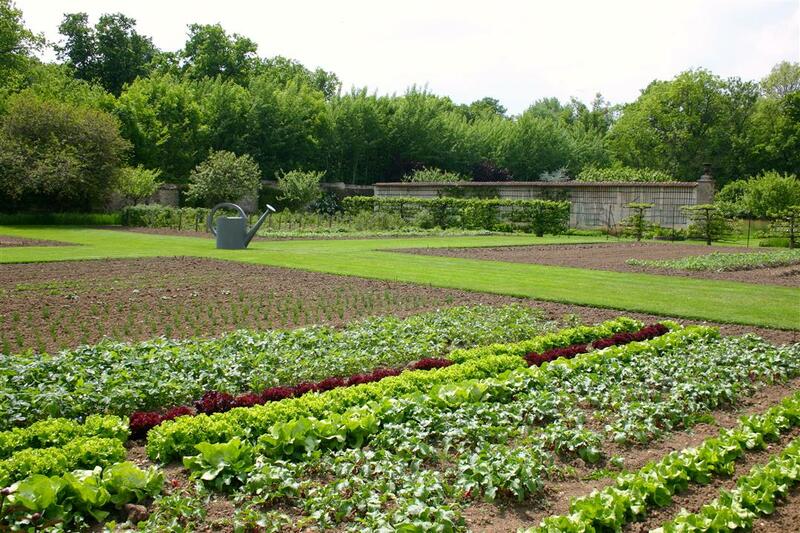 One of France’s potager treasures, conjured from 17th century plans, is just outside Paris. Tour leader Colin Barlow sent us this piece on its rejuvenation. The real treasure of Saint-Jean de Beauregard, though, is the walled potager or ornamental vegetable and flower garden. of the original garden plans in the chateau archives. You can imagine the thrill! Restoration started in 1984 and by 1993 the garden had acquired the status of Monument Historique. 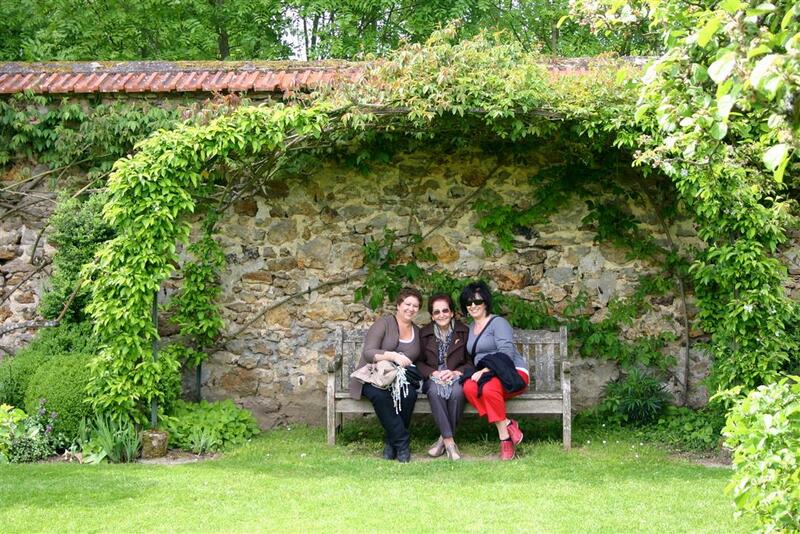 The original 40 inhabitants of the 17th century chateau were almost totally self-sufficient. 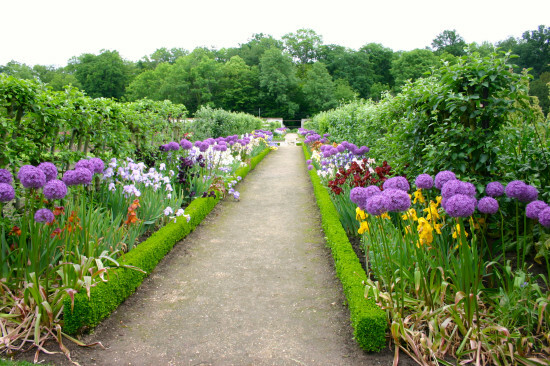 The garden provided them with flowers, fruit and vegetables year-round. 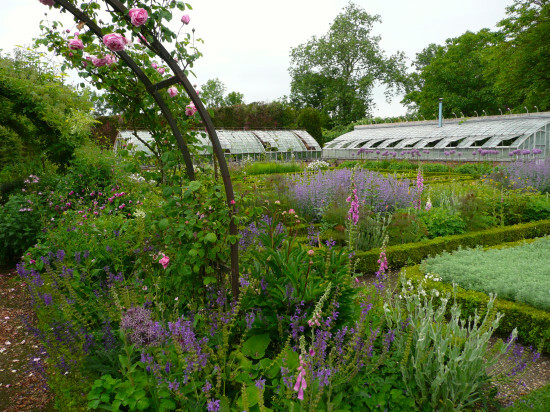 Today the potager nurtures a rare collection of fruit, flowers and vegetables, including medicinal plants. It is only open by appointment and the Ross Tours travellers who visit are always surprised by its beauty and inspired by its layout. The two-hectare potager is completely walled, creating a warm microclimate for an extensive range of fruit, herbs, vegetables and flowers, many of them now rare. Gaps in the boundary walls allow for the circulation of fresh air. The pools of water are to prevent wild animals from jumping through the openings and eating the produce! Along the shady northern wall ivy, honeysuckle, ferns, primroses, climbing hydrangeas and hostas are grown. 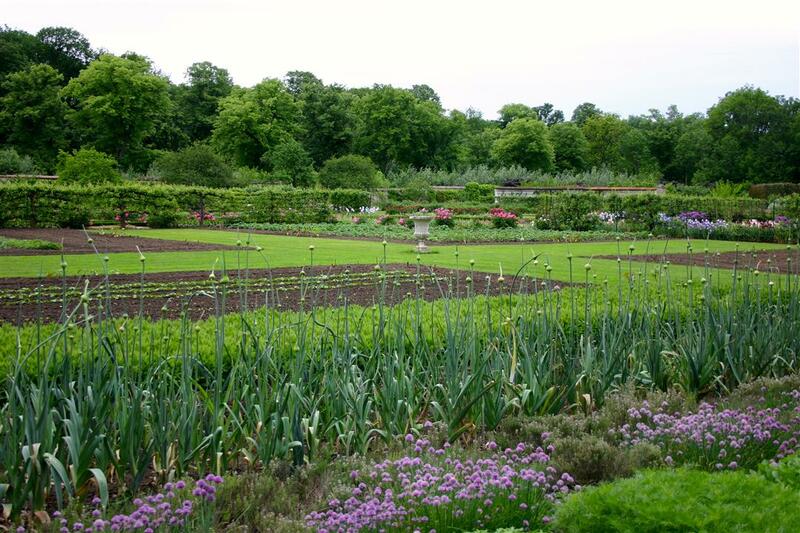 Curved finials of clipped box tie the garden together. On the warm southern wall grow apricots, kiwi fruit, grapes, angels trumpet, hibiscus and figs, again with finials of box. Roses, shrubs, annuals and choice perennials are woven intermittently to provide further colour and intrigue. Bordering the sixteen squares are more than 70 varieties of medicinal and aromatic plants. These mingle with the scent of the old roses. 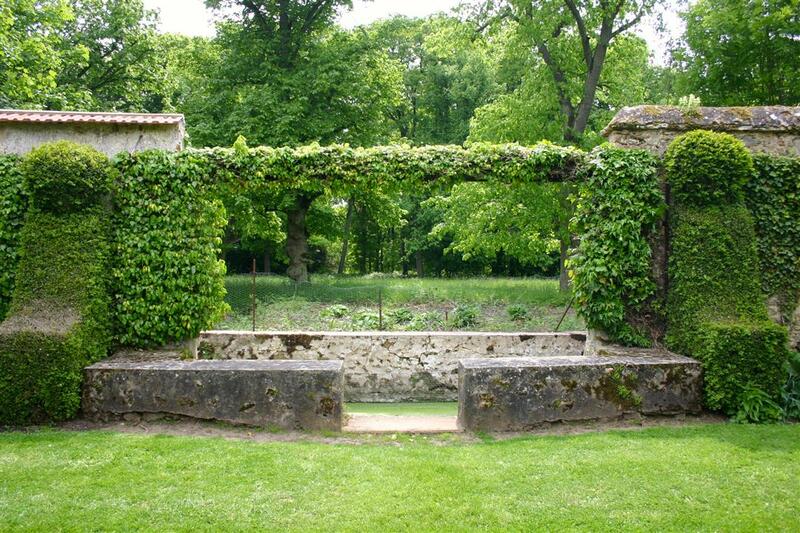 An archway of yellow hops, used to make beer, leads to a charming box-lined garden for cut flowers and herbs. Two old-fashioned glasshouses offer shelter for individual red and white grape varieties. 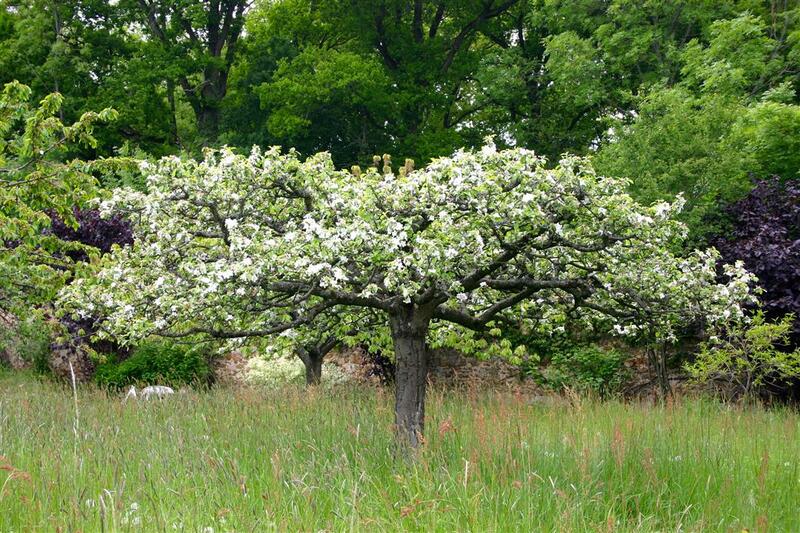 Hidden away at the back of the garden is an orchard. 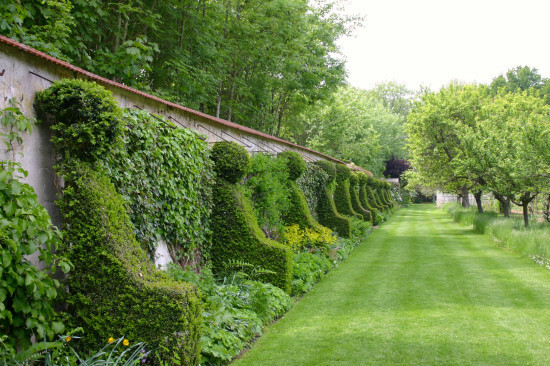 It’s designed in the ‘English style’ with meadows of long grass, swathes of mown pathways and step-over apples which form borders to the grass. Umbrella-pruned fruit trees make harvesting a breeze while an arbor provides the perfect place to sit back and enjoy the serenity and picturesque view. 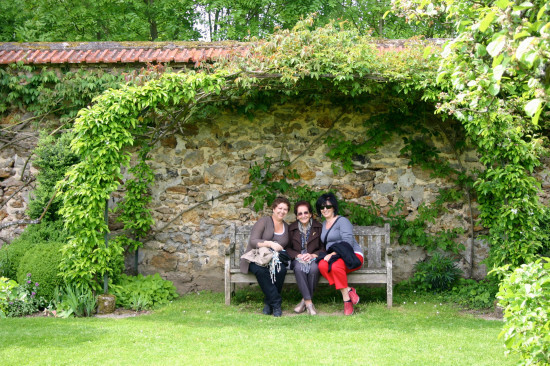 Colin will take a group through the delights of Domaine de St-Jean de Beauregard in May when he leads our tour of Europe’s Best Gardens.